Children love watching mummy and daddy cooking and cleaning in the kitchen, but its just far too dangerous for a little one to play with a real cooker etc. So the best alternative is their very own station, and this is where we come in to supply you with all children’s play kitchen deals listed on retailers Black Friday UK list. Role-playing toys are always enjoyable and help a child grow into what we are today, and play kitchens are a great source of fun for the little ones. There are so many to choose from such as plastic, wooden as well as other eco-friendly materials. Some of the best include Pottery Barn Retro kids collection, Educo Gourmet Chef Kitchen, KidKraft Vintage, Bosch Theo Klein, Peppa Pig House Kitchen and more. The list is huge, and you really do not want to miss out on the biggest sale of the year. When the Children’s play kitchen Black Friday offers go live we will list a collection of them below. If you head on over to Asda Direct online aka George and search kids wooden kitchen you will see a few products listed, but the better thing is that when you spend £50 you get to save 20%. Tesco has the bright red 2-piece Teamson Kids Red Play Kitchen for just £89.99 marked down from £179.99, that is a cool saving of £90 (The catalogue Number is 303-1656 . Over on Amazon they have the blue deAO Children Play Kitchen Set K7B toy with 32-piece accessory pices for only £15,99, it was priced at just under 30 quid. Get the Disney Frozen Kitchen for better than half price, it was £79.99 but can be purchased for only £29.99 at Toys R Us. Save £19 on the Melissa and Doug Cooks Corner Wooden Kitchen (425/5882) and buy now for £80.99. I have been looking for a great deal on the Little Tikes Super Chef Kitchen (Product code 141678) via the ELC website cheaper than its current £80 price. 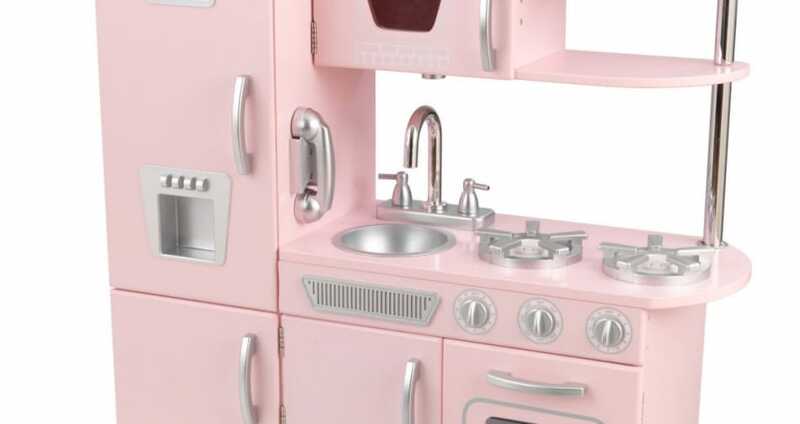 I still love the classic look of the Infantastic KDK03 play kitchen for children, I am holding out for Black Friday in the hope i can get this a lot cheaper. Please – fingers and toes are crossed my friend. Will the Little Tikes Super Chef Kitchen Pretend Play be on this list? This one is like £75, which is a little over my budget for my niece. I was actually going to buy one of these today from Amazon, then decided I would wait until Black Friday. Then I saw this page so decided it was fate to wait.